Home / Blog / Industry / Can You Survive the Surge in Restaurant Openings? Opening a restaurant is, to put it lightly, a risky venture. 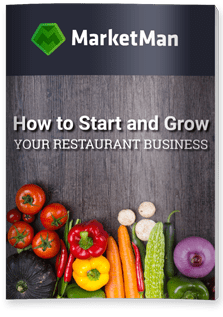 There are over 600,000 restaurants in the U.S., a number which is growing all the time, and around 90-95% of new restaurants fail within their first year. How can you be one of the lucky few that survive in this wildly popular industry? Let’s take a look. An important concept for new restaurant owners to bear in mind is that it’s not about what you want, it’s about what the market wants. It might have been your lifelong dream to open a steakhouse, but if your local area is crowded with them there won’t be any demand for yours. Take some time to analyze which new restaurants are opening. How is the business there? Go inside and eat, think about what they’re doing well and what you could do better. It’s crucial to figure out what you’re up against and what you’ll need to do. Take months to do this if necessary, and don’t start until you’re sure. If you want to open a Mexican restaurant in San Diego, it had better be impressive. You’ll be playing established, world-class restaurants at their own game, a game you’re unlikely to win. A much better option is to find your own niche, like breakfast-only restaurants or a cuisine that isn’t well-represented in your region. Trends are important, but so is longevity and sales potential — make sure your restaurant will stand the test of time. Here’s an eye-opening stat: veganism has had a 600% increase in interest in the U.S. This rapidly growing demographic is indicative of wider trends and should be the focus of any restaurant owner’s attention. Despite this, lots of restaurants in lots of regions don’t include any vegetarian, vegan, or gluten-free items on their menu. You can stand out and appeal to a huge segment of the market simply by offering these meals. You don’t have to rebrand as a vegan restaurant and shout it from the rooftops, just include popular brands like Beyond Burger, which vegans and vegetarians often for look specifically. It can be tempting to start out with the bare essentials and build up as you go, but this approach probably isn’t wise. Instead, start with everything you need, including software that takes care of inventory management, recipe costing, and purchasing and order management. There will always be competition for restaurants, but there will also always be demand. Spend time studying the market and trends, and focus on finding a good niche, and you’ll boost your chances of making it.